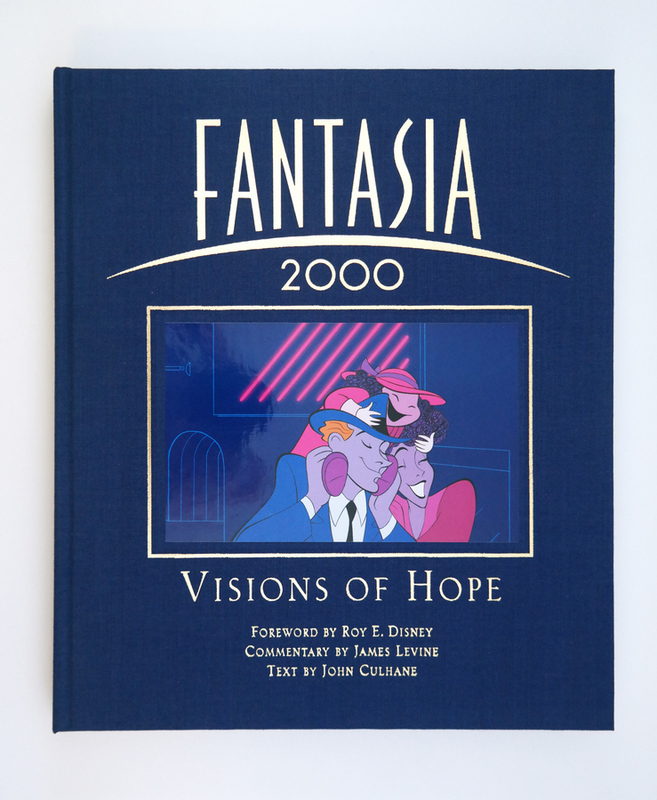 This is a signed copy of the out-of-print book, "Fantasia 2000: Visions of Hope." This book features 180 pages that detail the art of the film with accompanying text that elaborates on the production of each short. 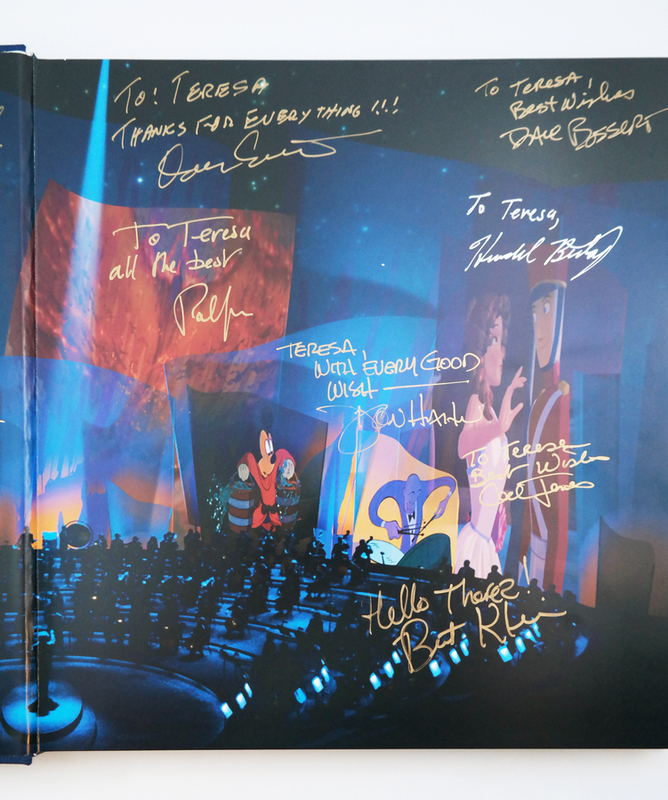 The book is signed by numerous people involved in the making of the film, including Roy E. Disney, Don Hahn, and Eric Goldberg. 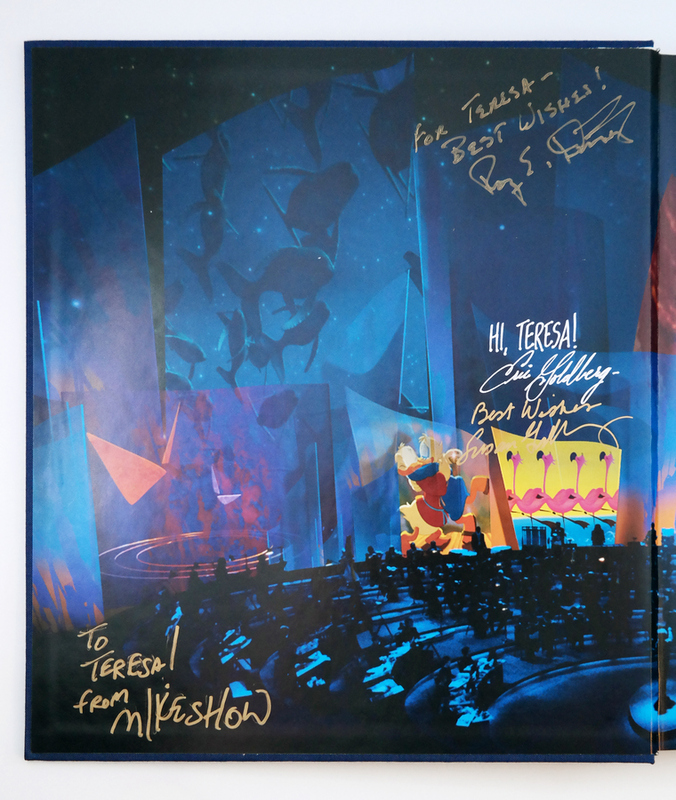 The book measures 13" x 11.5", and comes in a sturdy slip case. 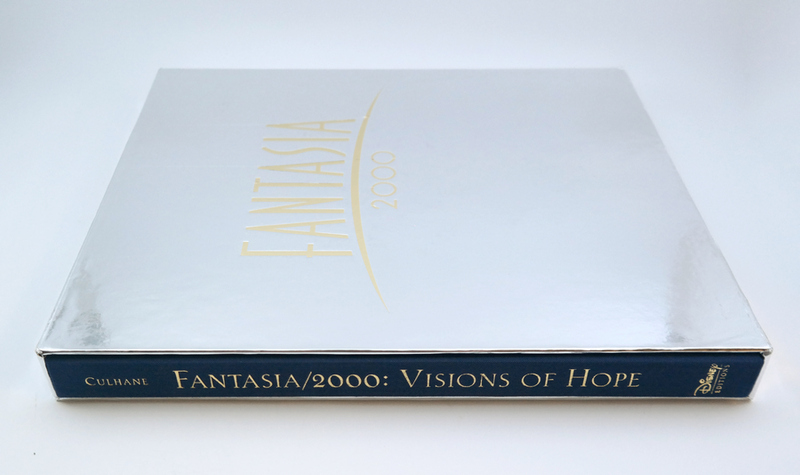 The book itself is in excellent condition, although the slip case has some notable scuffing and handling wear.